A concentrated source for fiber in a versatile powder. A unique medical food to meet fiber needs of residents and patients ... tasteless and odorless, Nutrisource® Fiber powder will not alter foods or beverages. 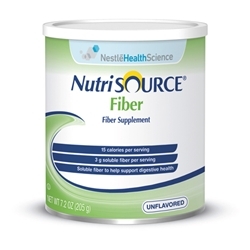 Nutrisource® Fiber is a medical food -- consumers should consult with their physician on the use of this product. Ingredients: Partially hydrolyzed guar gum. 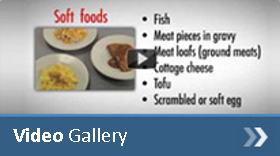 Made in same plant with soy, milk, and egg products.